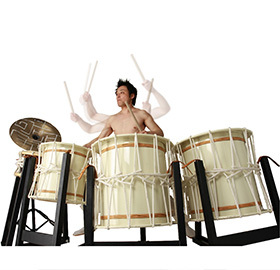 1990,　He joined famous Japanese Drummers Group Ondekoza, and studied under Den Tagayasu who was the founder of Ondekoza. In the same year, he ran 15,000 km across the United States over the next 3 years. During that time he performed over 500 concerts at a wide variety of venues, among them 4 performances at the prestigious Carnegie Hall in New York. 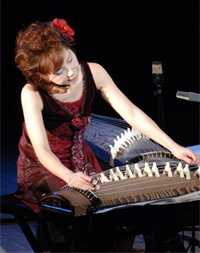 2011 In February to Mach, Ichitaro　was invited from Ministry of Foreign Affairs of Japan to perform in Saudi Arabia, and Qatar. In October, He played with Estonia National Choir (won Grammy Award in 2002) at national theater in Tallinn, Estonia. 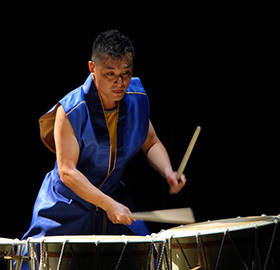 In August,he performed in five capitals with TAIKOZA,which is wadaiko group based in New York,as Switzerland tour. In November, Ichitaro was invited by Ministry of Foreign Affairs of Japan to perform in Republic of Malawi and Kenya.His performance has succeeded in Africa. 2015 In November, he received “Higashikuni Prize” (http://higashikuniprize.org/) . In March, he visited Soma High School in Fukushima (http://www.soma-h.fks.ed.jp/) as a volunteer to supervise and compose Wadaiko drum. In May and June, His tour has held in France, Germany, and Luxembourg. In July and August, He was invited as a soloist in Orchestras ( such as National Symphony Orchestra of Ecuador (http://www.tomomi-n.com/en/schedule/detail/2015/07/16_0/ ), The Municipal Symphonic Orchestra of Rio de Janeiro (http://www.tomomi-n.com/en/schedule/detail/2015/08/02_0/ ) and collaborated with Tomomi Nishimoto (http://www.tomomi-n.com/en/ )Outside of performing, Ichitaro　is also known for his compositions, which include not only traditional instruments but also more modern musical styles, such as Jazz.